The Financial Check Up (FCU) is a light touch strategy, one-on-one financial assessment tool that provides a City of Boston resident with the opportunity to review his or her credit report with a trained financial guide and learn how to improve that credit over time. The FCU was developed by Boston Tax Help Coalition staff as way to maximize free tax preparation as an asset building opportunity, recognizing that for many, reviewing one’s taxes and expenditures can provide an “aha moment” for individuals to consider opportunities to use their tax refunds to save and build credit. The FCU seeks to take advantage of that moment by providing personalized credit building education about the resident’s financial options, and those receiving a refund leave the Boston Tax Help Coalition site better informed about optimizing their tax refund. We help people get the refundable credits – such as the Earned Income Tax Credit and the Additional Child Tax Credit – that are tied to an individual’s earnings from work and lead to the accumulation of ‘savings’ throughout the year. The refunds can represent ‘start-up’ capital, allowing for down payments on a dwelling or car or other major purchase. We want to make sure Boston residents get back the refunds for which they are entitled! What Does the Financial Check Up Actually Involve? A Boston taxpayer can go to one of the Boston Tax Help Coalition’s free tax preparation locations that offers the FCU (these will be listed at http://www.bostontaxhelp.org/ in January 2016) to meet with a Financial Guide. The process begins with screening for tax preparation readiness and eligibility. First, the guide makes sure the taxpayer has brought the necessary tax documents, including W-2s and Social Security identification numbers. Second, the guide screens for service needs, asking the taxpayer if a referral to welfare, health, housing, legal or other government or nonprofit provided service for people in need would be useful. The taypayer is also given the opportunity to register to vote. Third, the guide asks the taxpayer’s permission to pull her credit report and review it with her. Doing so allows many taxpayers – about half have never had a prior opportunity according to their survey response – the ability to view their credit report for the first time. Next, the guide and the taxpayer review the debt listed on the credit report, addressing any questions that may arise. On a separate form, the guide summarizes the taxpayer’s debt listed on the credit report, including the credit score. The guide lists the debt by type, such as revolving/credit card accounts, installment accounts, mortgages, closed with balances, public records, and collections. After reviewing appropriate financial products with the taxpayer, including Second Chance Checking Accounts, MyRAs, and Savings Bonds, the guide writes out a simple and short one-year financial plan suitable for the taxpayer to follow in the coming year. This plan is given to the taxpayer to take home as a reference. How Can I Sign Up for the Financial Check Up? We have just begun to offer the Financial Check Up separately from the tax sites if you don’t want to wait for the Tax Season. This is a free service. 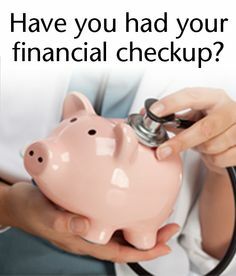 Please contact us if you are interested in obtaining the Financial Check Up. The EITC is the largest wage subsidy for working LMI earners and their families provided by the federal government and administered by the IRS. The EITC amount can total over $6,000, depending on earnings and family size. The Commonwealth of Massachusetts delivers a state EITC that has been 15% of the federal EITC received by a taxpayer and will increase to 23% next year. The Additional Child Tax Credit provides the lesser of (1) $1,000 per child for LMI earners or (2) 15% of pay in excess of $3,000. ← Thinking of Boston’s Veterans!